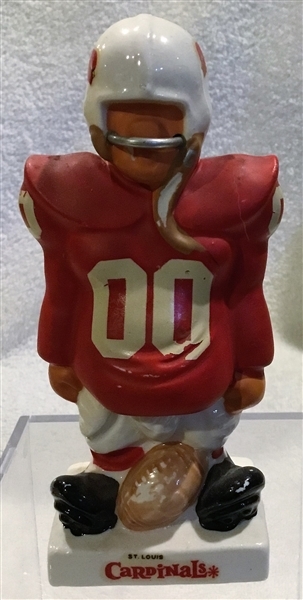 Here's another terrific looking statue from the Fred Kail NFL series of the early 60's. It's of the St. Louis Cardinals. It's about 5.25" tall. It has nice coloring and exceptional detail on the helmet and uniform. Minor wear but still in excellent plus condition.